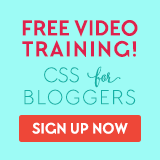 Could your blog header be sending people away? 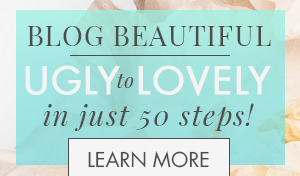 There’s lots of blogs out there with cute, creative-sounding names. And while they may be catchy, if there’s nothing in the name that tells a person what the blog is about, it could be driving people away. Suppose you came across a blog whose name was “Sunshiney Days” (i made that up) and there was no tagline in the header. What would you assume the blog to be about? Someone with a happy life? Happiness amidst depression? Living in the Sunshine State? A blog about Johnny Nash? Kinda hard to tell right? That’s why you need a tagline. 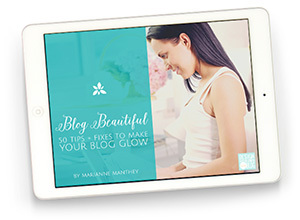 A clearly written tagline is so important to your blog’s success! Now that you can see clearly now (see what I did there? 😉 ) let’s talk a little about how to write a nice, catchy blog tagline that helps to tell people what your blog is all about. A tagline is like a slogan, you know that catchy little phrase that helps you remember a product? Like, “Melts in your mouth, not in your hand” (M&M’s) and “It’s everywhere you want to be” (Visa). While a slogan describes a product, a tagline helps people remember your brand. It helps to define what your blog is about, who it’s for, and why people should stick around and read it. 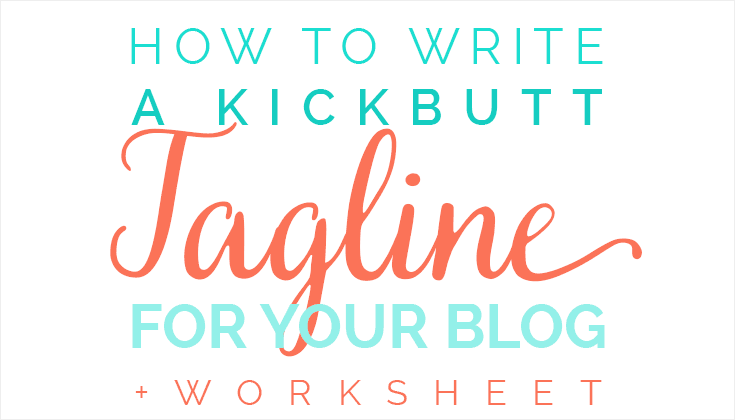 A kickbutt blog tagline helps people remember your brand. Here’s how to write one. The tagline is a one-liner that sums up how you can help your audience. It should be short, powerful and to the point. There should be no question of what you offer after someone reads it. And the tagline should be prominent in your header and appear directly below or next to your logo/brand name. 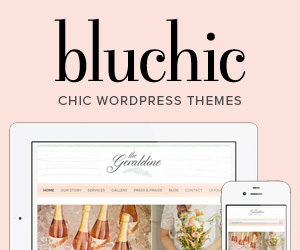 Welcome to the third installment of the June theme on Blog Headers. 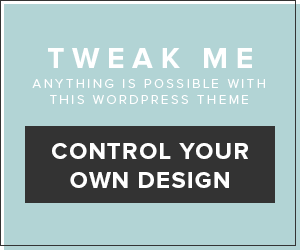 Is Your Blog Header Awkward? Fix it Now! 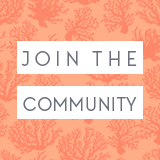 And join the Facebook community where we’re discussing headers all month. First we have to ask ourselves a few important questions. Click the yellow box to download the worksheet and follow along. I’ll use my own blog as an example in italics. 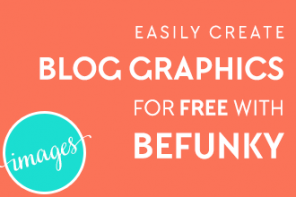 Download the Blog Header Tagline Worksheet! What is your personal mission for your blog? Is it to help certain people, inform them, inspire them? Why do you want to help them? What do you aim to do? Why do you do what you do? What excites you about what you write? 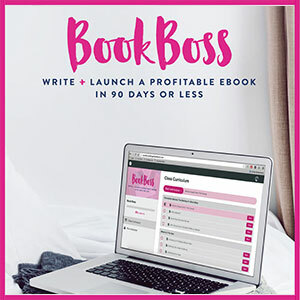 My personal mission for DYOB is to help creative women to build the businesses of their dreams to not only support their families but to have the flexibility and time to raise a fantastic, well-adjusted family. I want all women (including myself) to have this so that we don’t have to continuously struggle to find work/family-life balance. Get really specific here. Get down to gender, age, number of kids, occupation, etc. It’s best to have a specific person in mind. 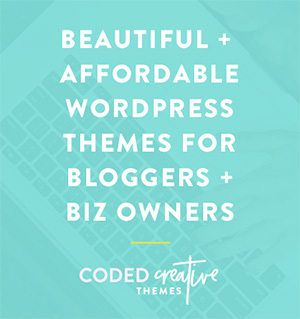 I serve creative female solopreneurs and bloggers who want to create a professional online appearance that matches their unique personality and brand. How do you plan to help others? What are their pains and how will you help them? 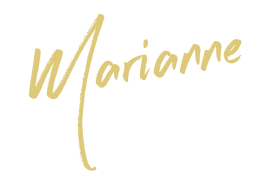 Offerings include your free content and products or services you sell. 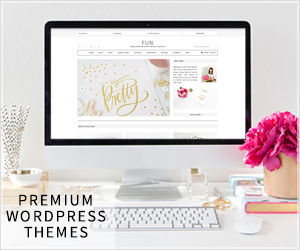 I offer tutorials, tools, feedback and inspiration that helps women actually design and customize their own blogs. How Will What You Offer Be Different? What makes YOU different from everyone else that talks about the same thing? What can you do better or differently? What benefit(s) can you provide your readers/customers that they can’t obtain elsewhere? You can start by asking yourself, “What feeling(s) do I want my audience to experience when they read my blog?” Is it relief? Excitement? Understanding? Inspiration? I offer friendly and step-by-step support and feedback. 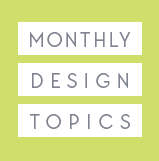 I share trends and inspiration to help them become better designers. 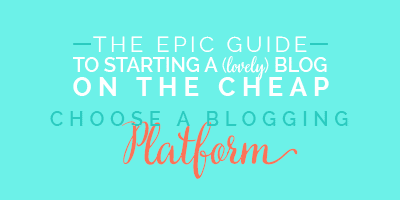 I also focus on both WordPress and Blogger platforms. 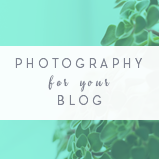 I want my audience to experience relief that they’ve found the right help and be inspired and confident to take on their own blog designs. We want to identify what our brand’s personality is because it will help us determine in which tone we should write our message. 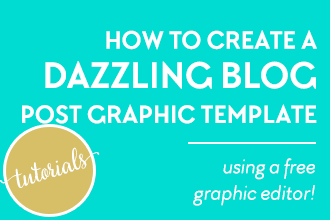 Is your brand empowering, friendly, classy, silly, bold and/or sarcastic? Infuse your own personality as it will come through in your writing. The DYOB brand is Knowledgable, Empowering and Classy. Its personality is Helpful, Approachable and Creative. First, let’s start by combining our answers above into a short paragraph. 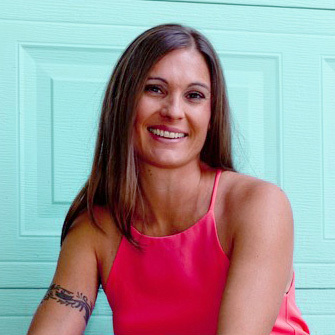 I am a web designer, blogger and mom who helps creative female solopreneurs create beautiful online appearances that match their unique work and personalities through supportive, friendly feedback and helpful step-by-step tutorials, guides and courses. I do it because I want women to build the businesses of their dreams that allow them to simultaneously support and raise fantastic families like I am working towards. Now let’s turn that into a shorter, more impactful statement, the USP. Here’s a great formula that I learned from Michael Hyatt’s Platform University, and it’s simply brilliant so I didn’t change a thing. I am a [your professional identity, e.g., author, speaker, blogger, coach, etc.]. so that [your promised transformation]. 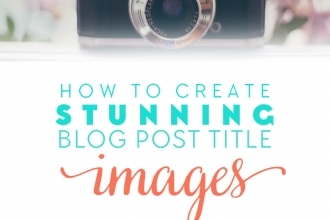 Is your blog header missing this crucial element & sending people away? Finally we get to write our blog’s tagline. When writing your own tagline, you want to take your USP and scrunch it down into a short but powerful statement that describes the essence of your brand. You’ll end up cutting out quite a bit from your USP and that’s ok. Writing the USP helps YOU get clear on what your brand is about and what you offer. It’s also a great statement to place in your sidebar bio, the top of your about page, and in your social media bios. Try to begin the tagline with a verb. It’s more powerful that way. Brainstorm some keywords. Take SEO into consideration when writing your tagline as it will certainly be a part of your meta data which is indexed by Google. Use powerful words if possible that show you as an expert in your field, words that imply that you are or have the best solution. Words like master, mentor, excellence, etc. Keep it simple and easy to understand. Don’t be clever unless it’s really obvious. If people have to try and figure out what you mean, they’ll move on. Some more great tips to keep in mind when writing your tagline. 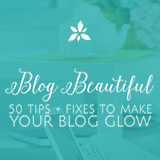 Until recently it was just “Beautify Your Blog DIY-Style,” but I added the words “Learn to” to make it more obvious that this is a teaching blog, not a place where I will do it for you. There are plenty of designers for hire out there, I am not one of them at this time. Check out this article on famous brand taglines from Hubspot. 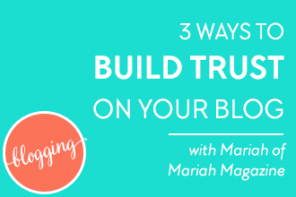 It’s helpful to see their flops and successes and to keep them in mind when thinking about your own blog tagline. How to Create a Rock-Solid Tagline That Truly Works from Copyblogger. Does Your Tagline Fit Your Brand? 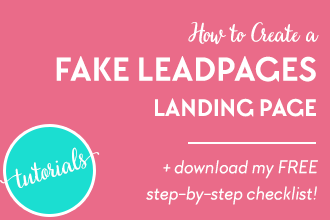 Download the worksheet and start writing your own USP and tagline. Now run your tagline through the questions and tips above. Does it fit you, your business, your audience and your mission? Does it clearly explain what you do or offer? Does it begin with a verb? Is it short, powerful and to the point? If not, you may need to spend a little more time on it. Run it by some people and get some feedback. A great way to do this is to share your blog’s name and tagline in a new post in the Facebook community for feedback. 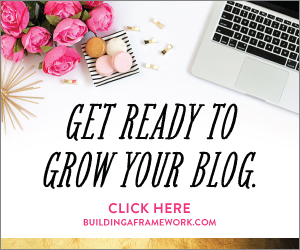 Resist the urge to explain what your blog is about and see if people “get it.” This is going to be fun! See you in there! 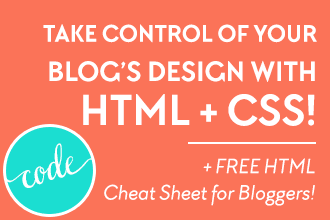 Did You Download the Blog Header Tagline Worksheet Yet? Do you have a tagline? If so, have you run it through the questions above? How did it do? If you don’t have a tagline, what’s keeping you from having one? I’d love to know, leave a comment below. As always, please share if you found this useful! Click a button below. Previous articleIs Your Blog Header Awkward? Fix it Now! Marianne, this was really helpful! I’ve been following this header series! 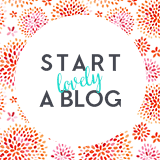 Love your blog, love the concept, wish I had time to make over my own blog! Thanks for helping us along, your words matter! 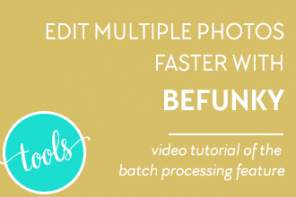 Brilliant post – so much useful information. I have to be honest and say that I hadn’t really given much (any) thought to this. I have literally written down a page of ideas while reading through the post. 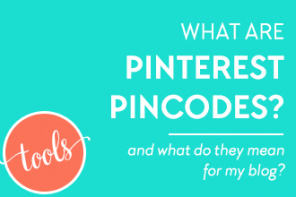 I also loved your post about sorting out your sidebar – which I put straight into practice. Will be sharing this one too. Hi Heather, thanks so much for your thoughtful comment. I do think that it would help you focus your information more if you were to have a more specific target audience like mothers. Narrowing down your niche doesn’t mean that you have to completely eliminate people that fall outside of that. In fact, most people won’t know who the specific type of person you’re targeting is. But it will help you to focus your message and it won’t sound watered down because you’re not trying to please everyone. The funny thing about focusing is that when you do that, even people outside that focus are still attracted to your content because it is so specific. Thanks Marianne – really appreciate the advice. I’ve been thinking about it since I left my original comment and specific definitely makes more sense. I’m in the middle of building my website and found yours along with all this fabulous information! This article was extremely helpful for me. I went through the entire exercise and even though I had been pretty sure I liked what I had come up with, I did modify it and I think the tagline and the about me intro on the first page is better. Now I have to go back and review what I wrote about me!! Looking forward to learning more as I go along! That’s awesome Rebecca! I love the tagline you have right now, it’s very descriptive. Thank you so much for taking the time to let me know how helpful it was. I’m so glad you mentioned this in last week’s #createlounge chat. 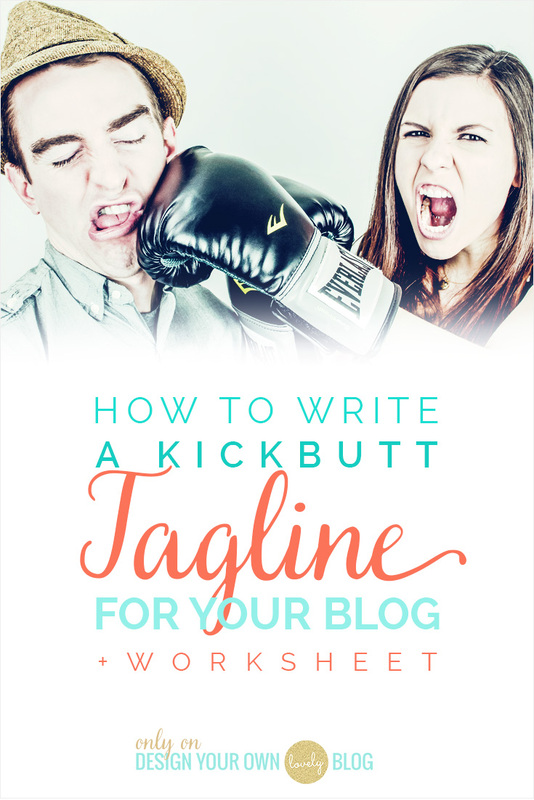 This is a great resource and I can wait sit down and craft my tagline. 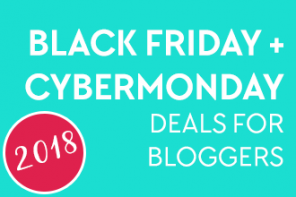 Pingback: 11 Things You Can Fix on Your Website Today | Garnishing Co.
Hi Amanda, yay I’m so glad you found this helpful and especially that it helped you find more purpose to your blog! I appreciate you taking the time to let me know, I really love to hear that! I can’t thank you enough for this post and worksheet! 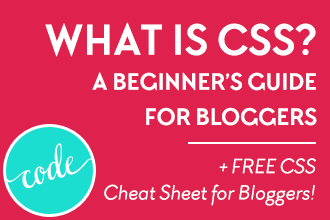 I’m taking the dive to create a website and begin blogging, and this resource helped me clear the clutter and figure out exactly why I’m doing this. Hey Bruce, thanks so much and glad to hear this helped. What did you come up with for your tagline? Hello 🙂 I love your article! I have been pondering these things a lot lately because, you’re right, they are important! I soon realized I need to narrow my niche to get the perfect fit! For some reason, I am not able to download your worksheet… would you be able to send it via email? Does it have the info for the statement also? Thanks so much for everything! Hi Betty, to get the download, you just click on the yellow button and sign up for the email list. There you will receive the link and password to my library of downloadable goodies! awesome Mia, thanks for reading and for sharing your thoughts! 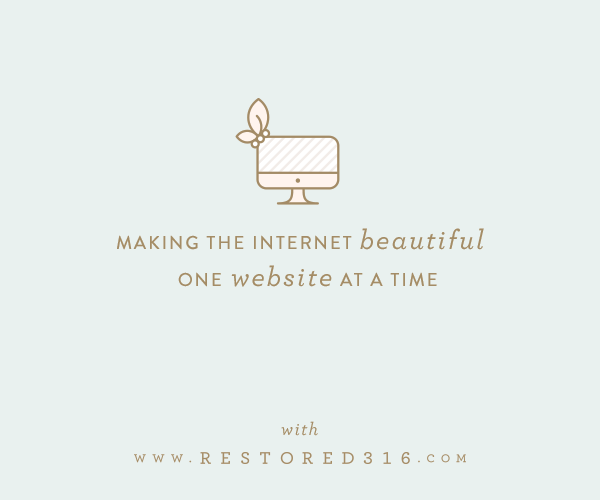 I am in the VERY early stages of launching my blog. I just finished up the whole exercize, which really helped me to clarify some things in my own head. I’ve come up with a tag line I love that really speaks to what my blog is (will be..) about. I’ll be chacking back often for more info on building and refining my blog as I work toward acually publishing. Thank you for such a helpful post with so much useful information! Rock on Kristin, and great job on the tagline!